As a leading Facelift expert, Dr. Bassichis is pleased to offer his minimally invasive facelift procedure, the MiniLiftTM. Dr. Bassichis’ MiniLiftTM is similar to the mass marketed facelifts, but uses scientifically proven surgical techniques in the hands of an expert surgeon to achieve excellent cosmetic results with minimized surgery and downtime. 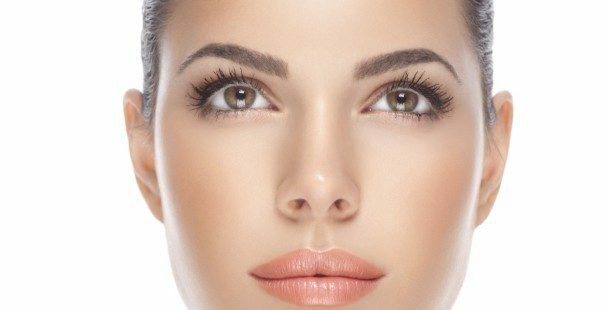 Specializing exclusively in facial aesthetic surgery, Facial Plastic Surgeon Dr. Bassichis can help you decide what procedure or procedures are best to meet your cosmetic needs. As well, additional procedures such as fat transfer, midface lift, custom filler injections, brow and eyelid surgery, fractionated CO2, photofacial, facial implants, and neck lifts can be added to individualize your procedure for a balanced improvement of the face. By artfully combining surgical, non-surgical and Medi.SPA techniques, Dr. Bassichis can help you achieve a truly customized cosmetic result tailored to your precise requirements. Who can benefit from MiniLiftTM? This procedure is intended for people who would like to be free of jowls, wrinkles, and loose skin in the lower face and neck. Dr. Bassichis’ minimally invasive facelift techniques yield excellent results with minimized recovery, so you’ll be back to your social and work routines in no time. MiniLiftTM surgery can improve the most visible signs of aging by removing excess fat and tightening the skin of the lower face and neck. With Dr. Bassichis’ MiniLiftTM you not only get the benefits of top notch surgical results with minimized recovery time, but with his added non-surgical and Medi.SPA options the MiniLiftTM can bring about amazing transforming rejuvenations in a shorter period of time. Dr. Bassichis’ minimally invasive MiniLiftTM techniques are clinically proven safe and effective in medical peer-reviewed scientific studies. A facial plastic surgeon specializing exclusively in cosmetic procedures of the face, Dr. Bassichis uses his clinical expertise and experience to individualize and optimize your surgery to suit your aesthetic needs. Performing the full spectrum of facial plastic and medical spa services, Dr. Bassichis can choreograph a lifetime of aesthetic health. By going to a board certified facial plastic surgeon for your minimally invasive facelift surgery, you are seeing a surgeon with advanced training and specialization focusing in facial procedures. Dr. Bassichis uses this expertise to achieve natural, beautiful, rejuvenated results for his minimally invasive facelift patients. With your safety and comfort of primary importance, Dr. Bassichis can customize your anesthesia to suit your needs and health requirements. With safety of foremost importance and after medical clearance, your MiniLiftTM can be performed as an in-office procedure in Dr. Bassichis’ fully equipped surgical procedure room under local anesthesia and sedation. During your procedure you will be medically monitored and your comfort closely attended to by our surgical staff and board certified Physician Anesthesiologists (MD Anesthesia). Or you may choose to undergo your procedure at a fully accredited outpatient surgical facility with nurse-monitored overnight stay capability. Dr. Bassichis is fully credentialed at several highly reputable area hospitals and state-of-the-art surgery centers to perform all his surgical procedures. He uses local anesthesia combined with sedation or other anesthesia techniques to ensure that his patients are safe, relaxed, and comfortable throughout the procedure. Please call our office at 972.774.1777 to schedule your complimentary consultation with Dr. Bassichis regarding your MiniLiftTM.